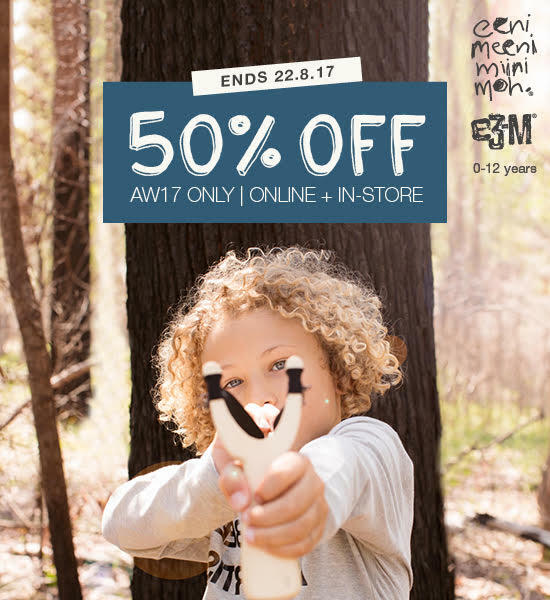 It's your last chance to get your hands on the eeni meeni miini moh and e3-M AW17 collection, now slashed to 50% off the original price. Get in quick while stocks last; ends 22nd August 2017! See my favourites from this season for babies, boys and girls 0-12 years right here.